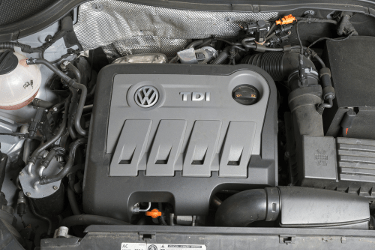 For those who might have been taking a long vacation from reality, Volkswagen recently became embroiled in a scandal regarding some of its cars with diesel engines. 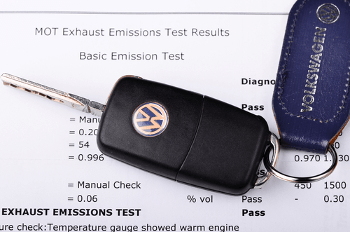 It seems that when these cars where tested for emissions, a “defeat device” (a software program), would detect that the cars were being tested and change the performance accordingly. This led to claims that their diesel cars were better for the environment than their competitors. In all there appears that over 500,000 of these “clean diesel” cars are currently on the road, mostly in the United States. Shortly after this scandal broke, the finger pointing began. Under pressure from a United States House of Representatives Oversight and Investigations panel, Michael Horn, Volkswagen’s United States Head, stated, “This was a couple of software engineers who put this in for whatever reason.” While I find it very disingenuous and slimy to through your software developers “under the bus”, albeit one with flowers and the smell of Patchouli oil, the question that remains, assuming Horn was not involved, is why would these “rogue” developers decide to create something like a “defeat device” in the first place? When I first heard of the “rogue” developer explanation, I realized there are two possible reasons – the developers do not care about their work or the developers acted out of fear for their jobs (or both). In either case the root cause is that there is a culture that discourages employee disengagement and fear. This means that while Mr. Horn might be accurate that it was “rogue” developers who are responsible for the act of creating the malicious software, the responsibility for corporate culture rests squarely with leadership. Since Horn was the top leader then he bears the brunt of the responsibility for the culture that would allow/coerce developers to make such a disastrous decision, one that could cost VW billions. That is not to say that the developers who made the changes should be held blameless, but it is not unusual for corporate culture to treat developers more like minions than the professionals that they are, shielding them from making decisions we would expect respected professionals to make. Fear for their very jobs, while puzzling in an environment where good developers can pick and choose, was most likely the final calculation that allowed the developers to write this malicious code. And not only developers, but where was the Quality Assurance during this process? Again, it is poor culture that allows such misdeeds to flourish. My educated guess received some support in a recent column in Road and Track by Bob Lutz, a former Genera Motors executive. Lutz placed the blame for the recent scandal directly on the shoulders of ex-Chairman Ferdinand Piech. Lutz stated that Piech’s tenure was distinguished by a style of leadership which was “a reign of terror and a culture where performance was driven by fear and intimidation.” Lutz described one exchange with Piech regarding the body fits of the new VW Golf where Piech bragged about his “recipe” for better body fits. Studies have shown that only about 30% of US workers are engaged in their work. That fact, along with dozens of years of experience, have led me to believe a huge percentage of companies use fear as their primary means of motivation. My advice to leaders is to pay attention to the VW scandal and heed its warning. You will most certainly reap what you sow, karma will catch up with you and cultivating fear will always end badly.